Geckos are one of the most unique creatures. Most geckos come from the family called Gekkonidae which are in warm climates around the world. The average lifespan of a gecko is usually 4-12 years. Geckos are carnivors. They eat beetles, ants, flies, spiders, and crickets. The oldest gecko on record lived 23 years. 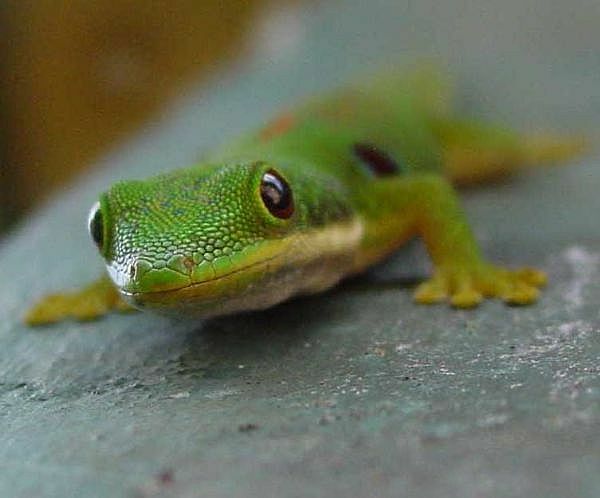 Geckos have been here for 50 million years. There are 2,000 species of geckos worldwide. Geckos mate at different times of the year. It depends on where they live. Geckos that live in the north usually breed in spring. But some mate in the spring and the fall. Geckos that live in the south may breed at any time of year. But most geckos in the south mate right after the rainy season which is the fall and sometimes the winter. Geckos come in many colors, depending on where the live. Female geckos are capable of reproducing without the male. 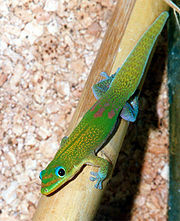 The physical adaptation of the gecko are the toes and the tail. The tail of the gecko helps because when it is running from the predator, when the predator eats the tail the gecko runs away. A gecko's tail grows back. The toes are for climbing on flat sufaces. If geckos do not have these adaptations they will become extinct. If geckos become extinct, then geckos will not be in their environments such as deserts and rainforests. Other animals in the geckos environment do have similar adaptations. The animals are turtles, frogs, and many others.